PowerMTA (PMTA) is industrial strength software which consistently delivers hundreds of thousands of emails per hour. 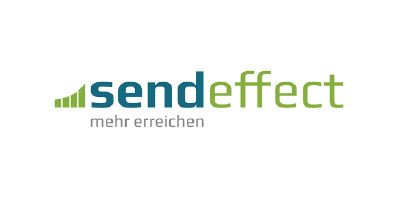 It is specifically designed for better performance, deliverability and manageability. With its extensive configuration capabilities and Virtual MTA technology, it allows granular control of sources, sending IPs, and domain policies. 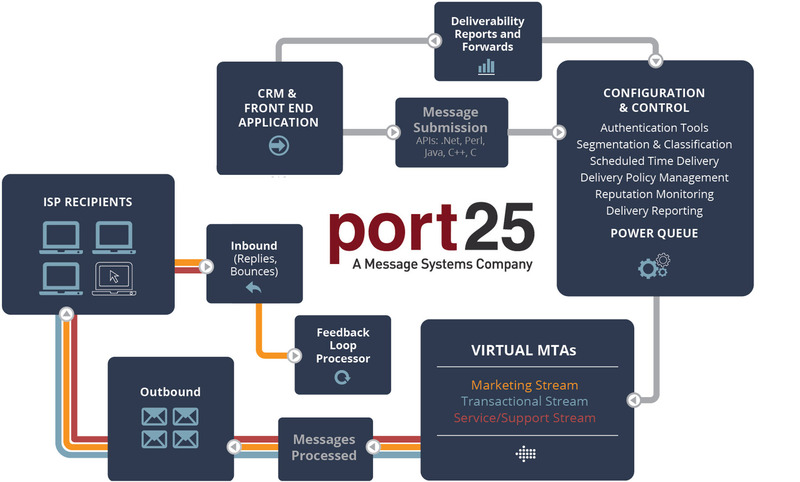 Postmastery is a Port25 channel partner. We licence, implement and optimise PMTA for leading email service providers and global brands. We offer PowerMTA training services as well. Greater performance on fewer servers? Let our PowerMTA consultants help you. Why PowerMTA as email delivery software? Clear focus: What sets PMTA apart from other alternatives is its clear focus on email delivery. "Doing one thing and doing it well". It is the perfect fit for a best-of-breed solution with third-party CRM software, campaign front-ends or custom email applications. Flexible hosting: PMTA is delivered as software, and not as a hardware appliance, like many other vendors. 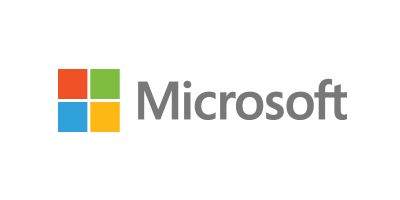 As both Windows and Linux versions are available, you use your preferred hosting platform, from dedicated on-premises to the cloud or anything in between. Industry standard: PMTA is used by more than 70% of Email Service Providers (ESPs) to power their email delivery infrastructure. Many smaller senders, marketing agencies and enterprises also use PMTA to make their email delivery reliable, secure and fast. Installation: After acquiring a PowerMTA licence, the software needs to be properly installed and configured. With a manual of over 300 pages describing over 200 configuration parameters, you feel overwhelmed. Our PMTA set-up service builds upon more than a decade of expertise. We translate your needs and requirements into a working configuration that incorporates much learning and best practices. Assessment: You may have been using PowerMTA for a while but are wondering if you are using its full potential. Throughput may be limited, the delivery times may be long, or there may be many temporary errors and retries. You also want to be sure that the settings for recipient domains are compliant with provider policies and common best practices, and that the configuration is in good shape. In this case a PMTA assessment is advisable. Monitoring: Sustained deliverability requires constant attention. Postmastery's Delivery Analytics can proactively monitor the entire PMTA infrastructure and logs by automatically flagging non-compliances. Postmastery's PMTA consulting service also offers a proactive 'expert view' on configuration, IP reputation, email delivery. Looking for expert level PowerMTA knowledge? Postmastery has developed software components that allow easy integration with email applications. We have components for Interspire, Ongage, and for custom web applications. Our components leverage PMTA's bounce and complaint processing and use standard HTTP APIs to pass bounce and complaint data back to the application. PMTA passes accounting data to custom web applications in real-time. Because it uses common interface standards like HTTP, REST, and JSON, it works with any web framework or programming language. It can be used to collect bounce and complaint information without the need to process bounce mails or complaint reports. Postmastery's webhook for List-Unsubscribe is run by PMTA when it receives unsubscribe emails. It extracts parameters from the receiving address and calls a http link with these parameters. Thus the application only needs to support (one-click) unsubscribes via http.